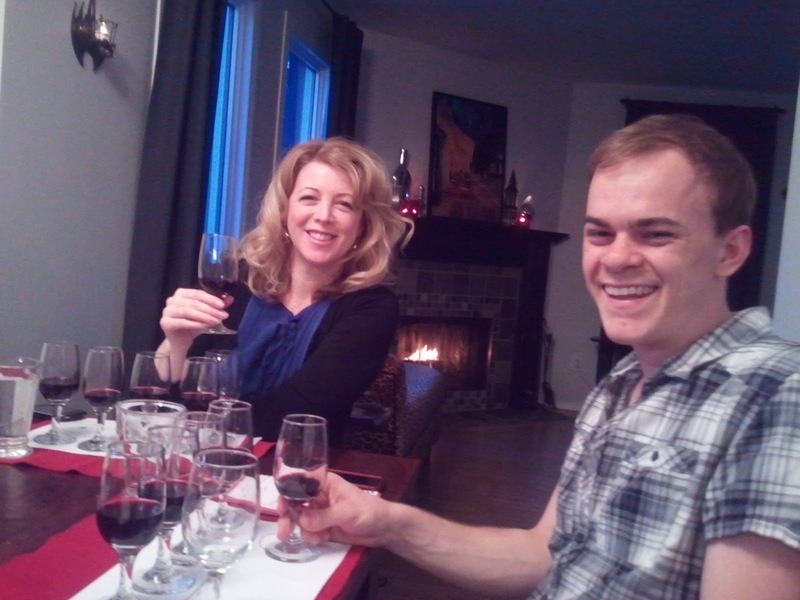 It’s Friday the 13th, and what better way to kick it off than with a wine blog? As promised, here we are back in South America for part 2 of this post! Sometimes all the wines mentioned in a post can be kind of overwhelming! Thus the reason for splitting it up! Can’t have South American wines without having at least ONE Argentinian Malbec. I have to say I was disappointed with the Malbec. Especially when I looked forward to it so much. Malbec is one of my favourite grapes to be sure. The Luigi Bosca from Argentina was featured here. And I know those of you reading this, and are Malbec fans, would know this wine! Sadly, we all rated this wine as “invisible”. There was just nothing there that we could really grab onto and like. A bit of “meat” on the nose, but that was about it. Maybe it was because it was the 2008? Or perhaps we had a bad wine..there was no cork to blame, as it was a screwtop wine. In my ever so humble opinion, save it for your cooking wine! And because of my disappointment…I didn’t take a picture! This one was a star! There was James kicking it up a few notches with the Gran Reserva again! 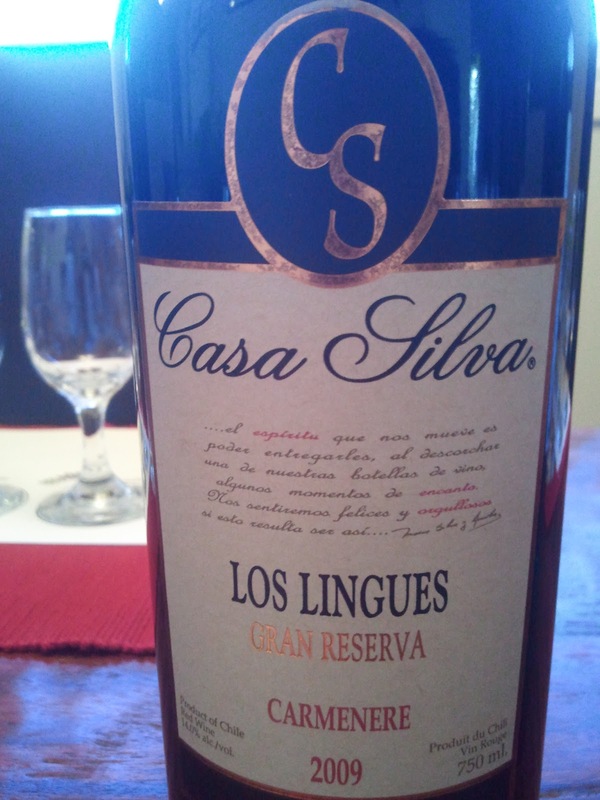 Gran Reserva in S. America is just a name. It really means nothing like it does in Spain with the time spent in oak, and in the bottle. Lots of different aromas. Green pepper, cigar tobacco, coffee, and dark chocolate. 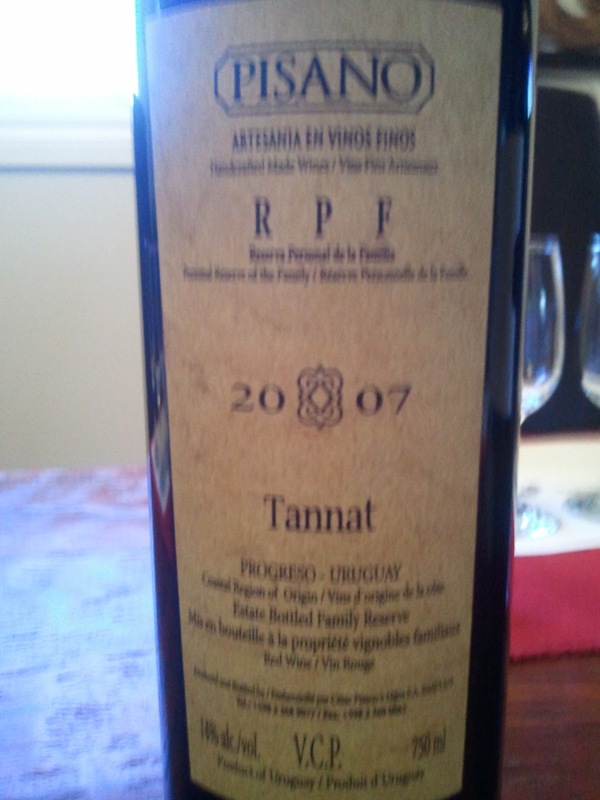 This off dry, low tannic wine had a really silky finish, and would be great with some grilled meats! I’m kind of a big Carmenere fan, so I really did enjoy this one! ﻿﻿﻿Has anyone else ever heard of this grape? The Tannat grape? Before this evening’s tasting, I had not. It is a very black grape and said to be the “national grape of Uruguay”. My friend Harjeet brought this one, and because he is an executive chef, wines are becoming best friends to some of his food dishes. If he brought this and recommended it, chances are I would enjoy it as well. I speak for no one else in my group, but this was likely my favourite of the evening! Lovely scents of creme brulee, butterscotch and caramel with hints of toasted coconut. Very warm in my mouth with some burned popcorn flavours (not a bad thing in this case), but also hints of blackberry fruit. Slightly mouthwatering and high tannins. This one lasted for quite some time in my mouth. A definite to put on your list of “wines to try”! 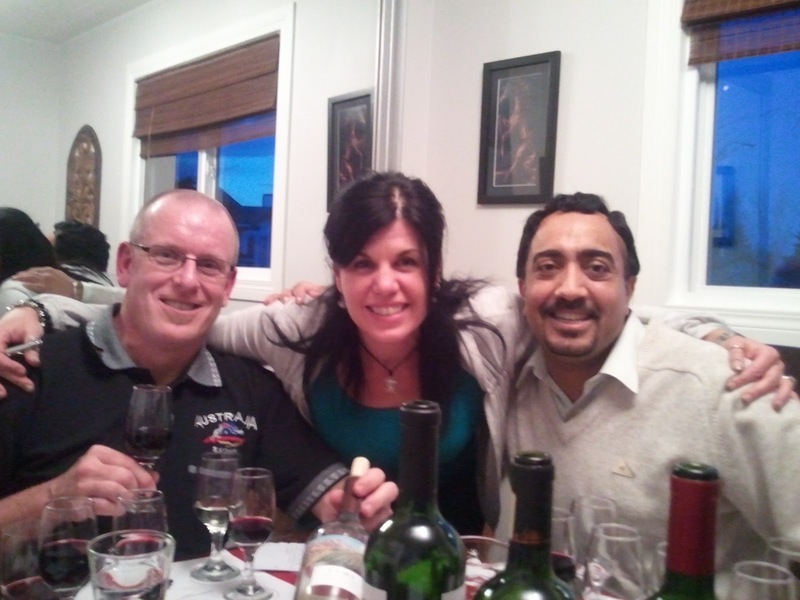 My friends(and former classmates from Level 1, enjoying the tastes of the wines! 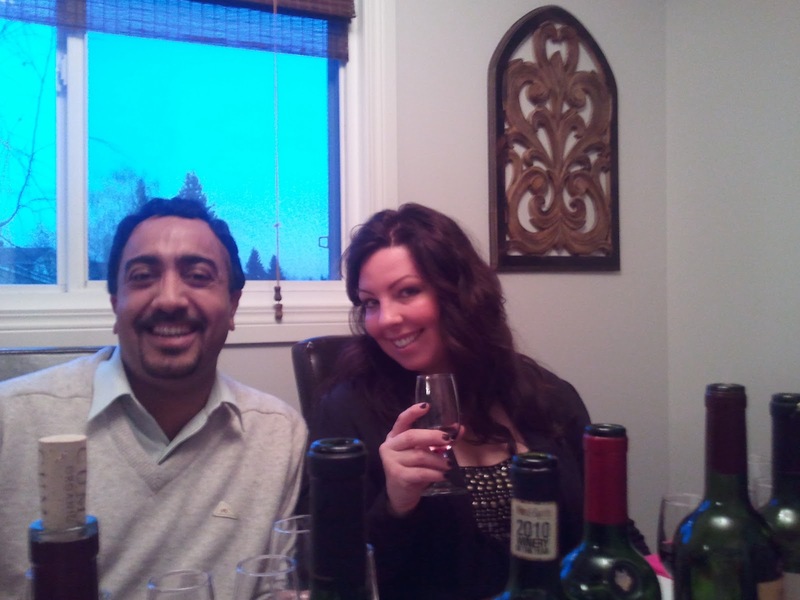 Thanks to D’arci, Daniel, Jennifer, James and Harjeet for always being up to the task!